Hopefully all of our family, friends, and clients had as happy Easter as we did. 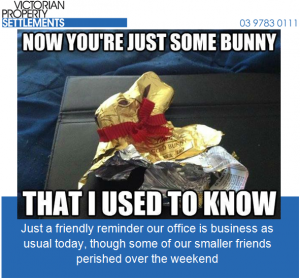 Our office has reopened to dozens of clients who bought and sold over the Easter break. No rest for the wicked!